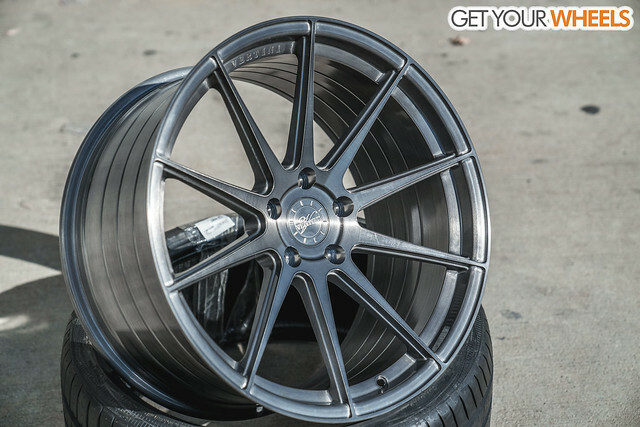 A ten-spoke concaved monoblock design utilizing the newest and latest German manufacturing process not only rigidifies, but also reduces the weight of the wheel drastically without sacrificing performance. By doing this we can achieve a lightweight multispoke wheel with pleasing aesthetics and aggressive fitments for European, Asian, and American made vehicles. Take full control of your fitment. Providing you with the option of achieving the most aggressive fitment possible without compromising performance. VERTINI WHEELS was born from an obsession to create stylish wheels by deploying craftsmanship and technology to the highest standards. Settling for nothing less than absolute perfection. Thus, Vertini embodies the finest elements that luxury wheel can possess. These qualities seem fitting for individuals who have a strong preference for full sized German and Japanese luxury sedans and want more than just another mass production vehicle. Vertini offers exclusive individual styling, as well as exciting and brave designs to stand out from the crowd.